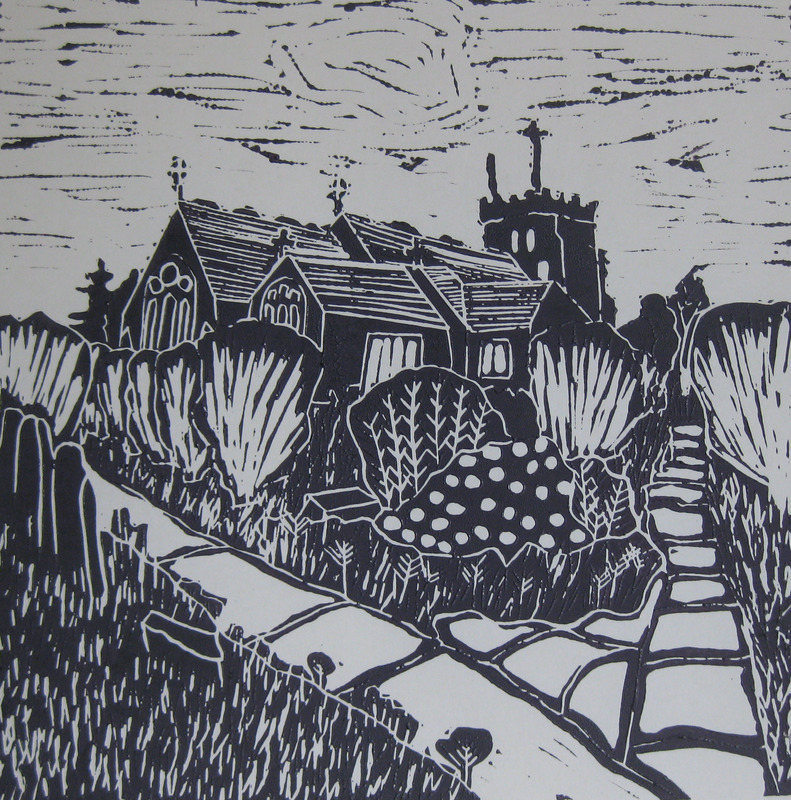 I am pleased to say that Stokes of Henfield now have some of my cards in stock. 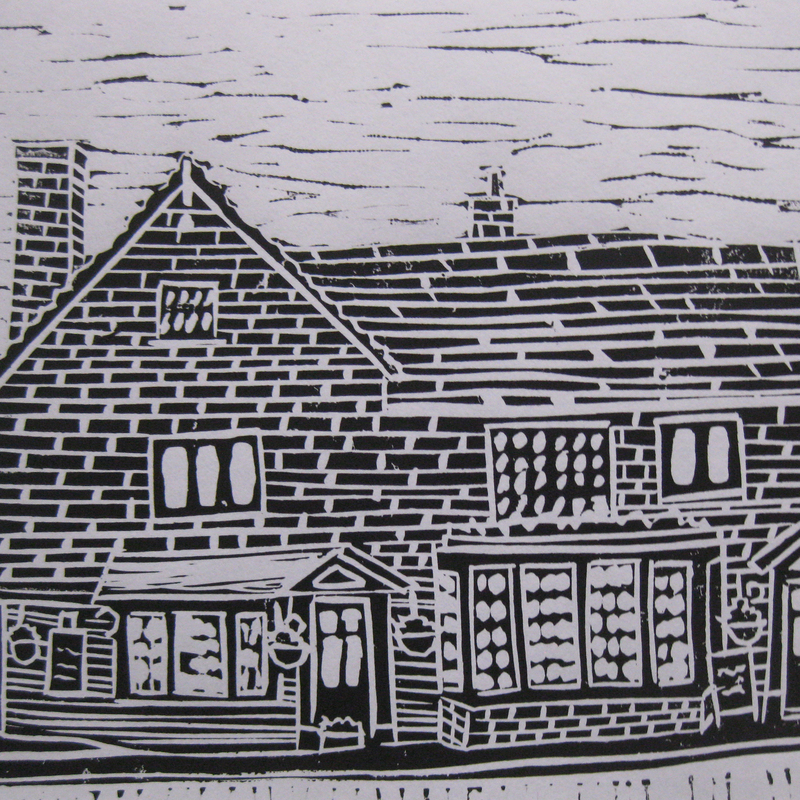 You will be able to buy four different linocut designs of Henfield. 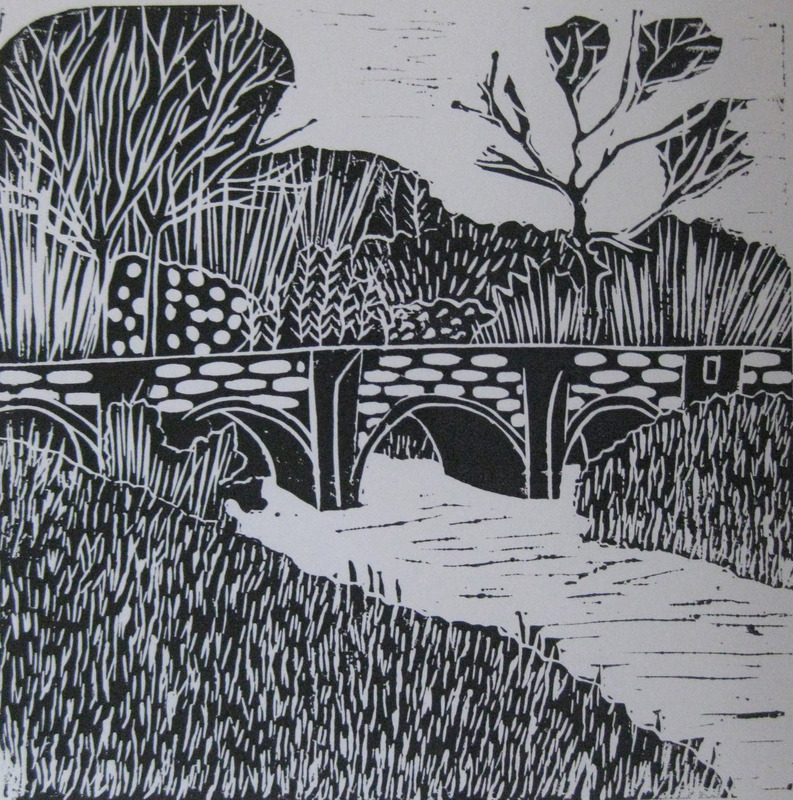 The ancient Mock Bridge crossing the River Adur; carries the A281 between Cowfold and Henfield. The Bull Inn which serves lovely pizzas in opposite the bridge. 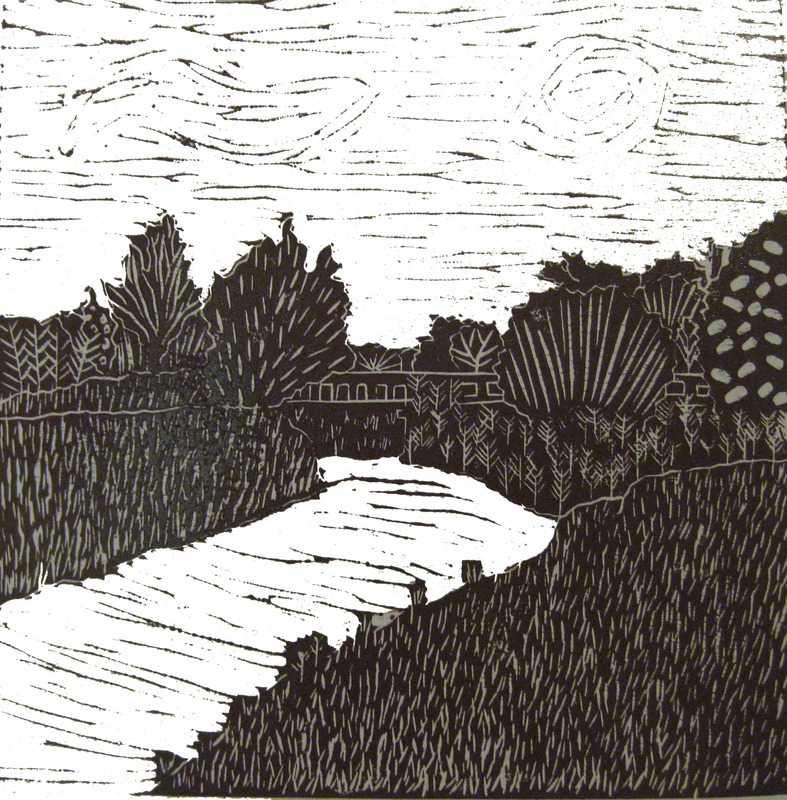 Just west of Henfield, the two branches of the River Adur, the western Adur and the eastern Adur, meet at Betley Bridge. The Down Link (known to locals in Henfield as The Old Railway Line – because that’s where it was!) runs across Betley Bridge.